I’m stuck sitting on a runway waiting for a tech to reboot my plane’s computer system, so it’s only appropriate that today’s Friday Five is dedicated to summer vacation. I’m not a total pro, Up In The Air style, but I like to think I do OK.
1. Book It. Experts say the best time to book your flight is 50-100 days in advance. I like to start monitoring flight prices early, then book when I find a good deal. Remember that you have 24 hours after booking to cancel your purchase if you change your mind. I love Southwest, and if you’re loyal to a brand, definitely take advantage of any loyalty programs they have. My flight home ended up costing me $5 because of all the points I had racked up! I also rave about ITA Flight Matrix, which is owned by Google flights. ITA lets you customize your search more than any other travel site I’ve seen. It can be a little tough to use at first, but it’s definitely worth learning. 2. Plan ahead. I’ll admit, I’m a little overzealous on this. My boyfriend gets stressed out by my detailed Google doc itineraries. But I can’t stand being somewhere cool and wandering. I want a vacay bucket list–a list of cool places I can get to at a moment’s notice. Trip Advisor is great for this, as is Yelp. Research everything down to tour guide companies so you know who does the best ghost tour or which whale watching company the locals use. 3. Pack your bags. No, seriously.. Pack some bags. I stuff grocery bags, Ziplocs, a canvas tote and a collapsible duffel in my luggage. I can’t tell you how often I end up using them. Other packing tips: Keep at least one outfit in your carry-on in case of lost luggage; mini bottles of liquor are permitted through airport security (in your liquids Ziploc); photocopy your passport and other travel documents and keep separate from the originals; and alllwaaayyys have a few granola bars on hand. 4. Hit the app store. Make sure you have any apps that might help make the trip smoother. Download your airline’s app, your hotel’s, the destination’s, Yelp, etc. It makes looking things up so much simpler. In fact, I just helped my seatmate by looking up the flight status of her connecting flight. 5. Relax, enjoy, and don’t forget to take pix! I know I am probably making travel sound really stressful, but I guess my point is that by doing all this prep in advance, you should be better able to enjoy your trip. 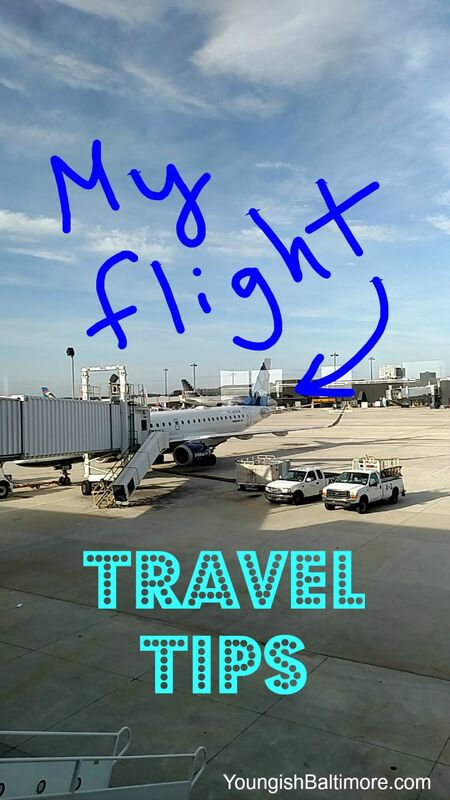 Don’t sweat the small stuff–a flight that’s two hours delayed and just got deboarded, for instance (grr)–and don’t be afraid to go rogue from your schedule. Have fun! Great tips! I’m with you – I love an agenda. Especially if I’m traveling somewhere new! I don’t want to waste any time or miss out on anything !! Definitely drives my Type-B (aka disorganized) boyfriend insane. Haha. Proper prep prevents poor performance. Great tips, thanks!